Remember our post about Toggl alternatives? Today we are presenting another list, this time we focus on alternatives to another project management software – Harvest. What is Harvest time tracking? Harvest is a popular, web-based application for small and bigger businesses, as well as individuals. It is respected for its time tracking tool that not only monitors personnel time but also generates invoices and analyzes the gathered data, to provide helpful graphs. It has an intuitive and elegant interface that most of the users find just to their liking – from there, they can send automated payment reminders, monitor their projects and budget, and manage personnel efficiently. Below you will find a list of project management and time tracking software that can make a good alternative for Harvest. 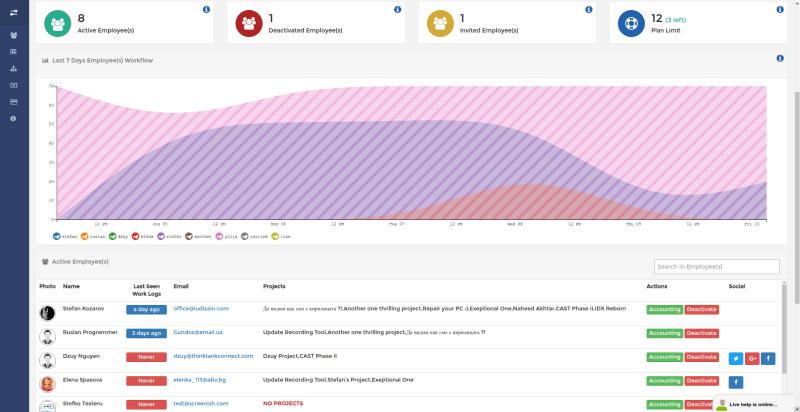 We also prepared a number of graphs, where we compare these program with our – TimeCamp. Click on the links attached to the descriptions to see what these tools offer, and what we have got that they do not. 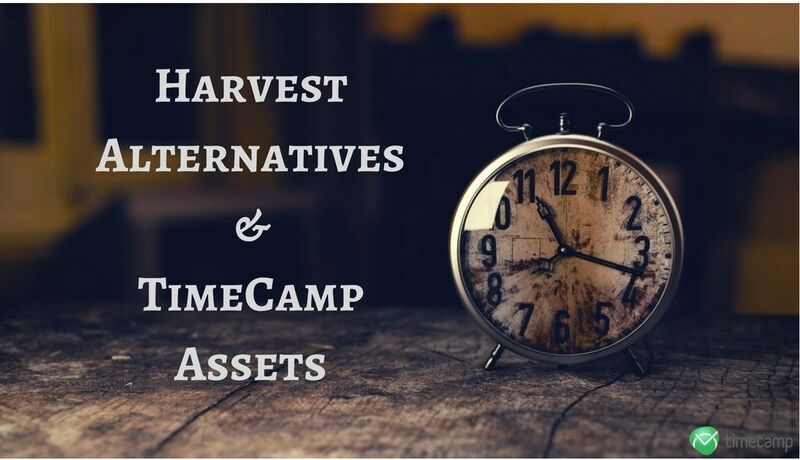 As we have already mentioned, TimeCamp can be compared with any time tracking software on the market and win on many levels. It is an advanced time-tracking app with plenty of other features like invoicing, reporting, or billing. It doesn’t matter if you are working as a freelancer or in a small, medium, or large company – TimeCamp is designed for every environment, its interface is simple and easy to use, and can be implemented even in teams that have no previous experience with tracking time. We describe our software and enumerate the assets it has in this article. Both direct and Zapier integrations which include project management and accounting tools like Asana, Podio, Trello, Basecamp 3, Xero and many others. In the next descriptions you can find links to pages, where we compared TimeCamp with other time tracking software. If they convince you that it is worth to give us a try, sign up, it is free! With this software you can plan, manage, and control the time that you and your employees spent working. It has an intuitive interface that improves the project visibility, makes the administration of employees simpler, and generally helps you in making smart management decisions. 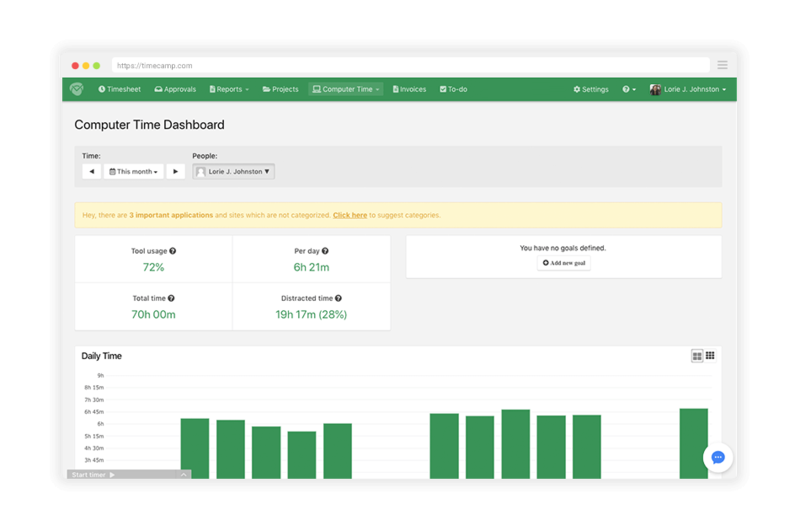 ClickTime offers highly customizable dashboards, 24/7 customer service, native mobile application for Android and iOS, and much more. 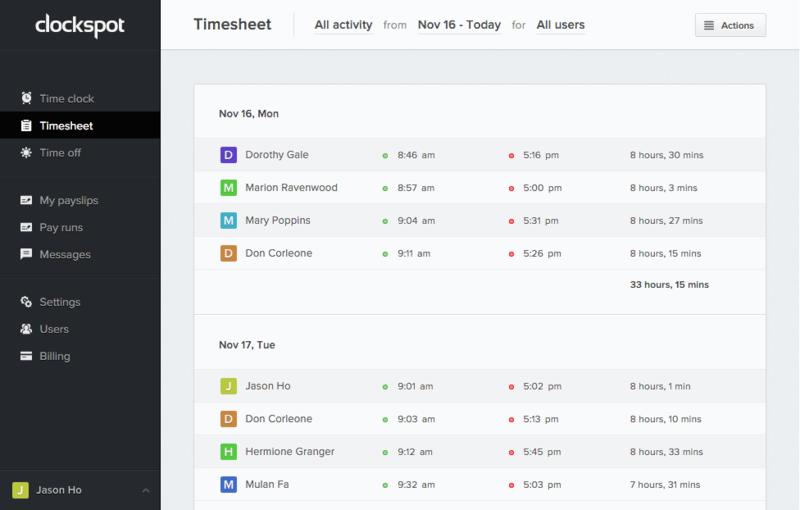 My Hours is a Time Tracking service that a lot of freelancers choose because it is free for individual use. You can start and stop the timer with a single click, set pause, or switch between tasks, and the tracker will follow. You just need an internet connection to start tracking your time – do it from the browser or through their free mobile app. 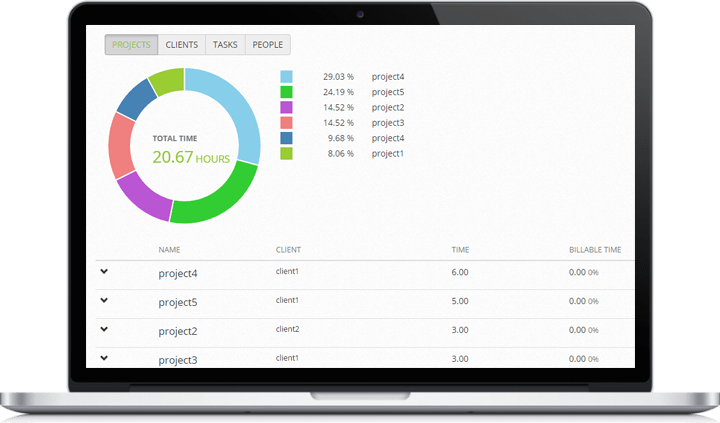 You can set up your clients, projects, tasks and hourly rates in an easy to use interface. Time sheets are always up to date and you have a full display of your team’s work. You can also share reports with the group. Real-time automatic time tracking tool that provides employee productivity tracking and analysis. DeskTime is used by over 70.000 companies in 90+ countries. You can monitor the time you and your employees spent on work and check where the unproductive minutes are going. The well-developed reports system increases your company’s productivity – you receive the detailed reports on your team’s performance, this software also shows the company’s and individual’s work results. It emphasizes one’s bad habits, as well as those that are positive and profitable. A simple but straightforward project management application that helps you manage your virtual team or a remote workforce, manage tasks, track time and generate visual reports. You can set up as many projects (and tasks within them) as you like. Members of your team can check in or out without having to notify you when they return because HiveDesk automatically tracks time spent on particular projects and sends the data to you. 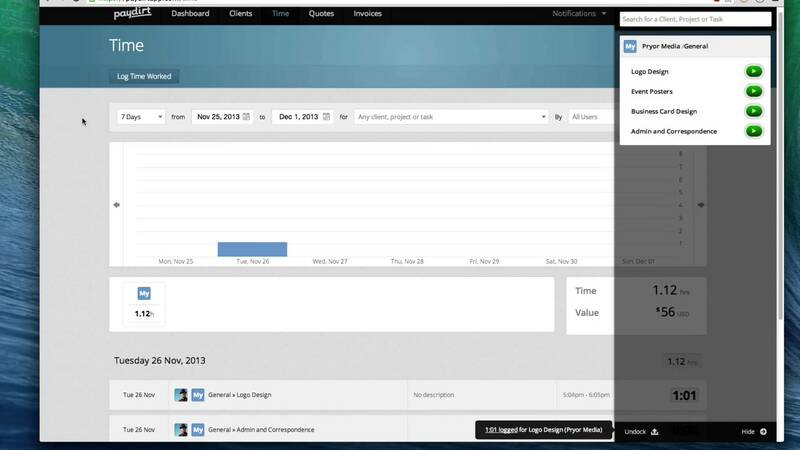 It reports the visual productivity data each time a screenshot is captured, allowing managers to monitor the efficiency of the working sessions. Time tracking and invoicing app that offers a wide number of integrations and features. 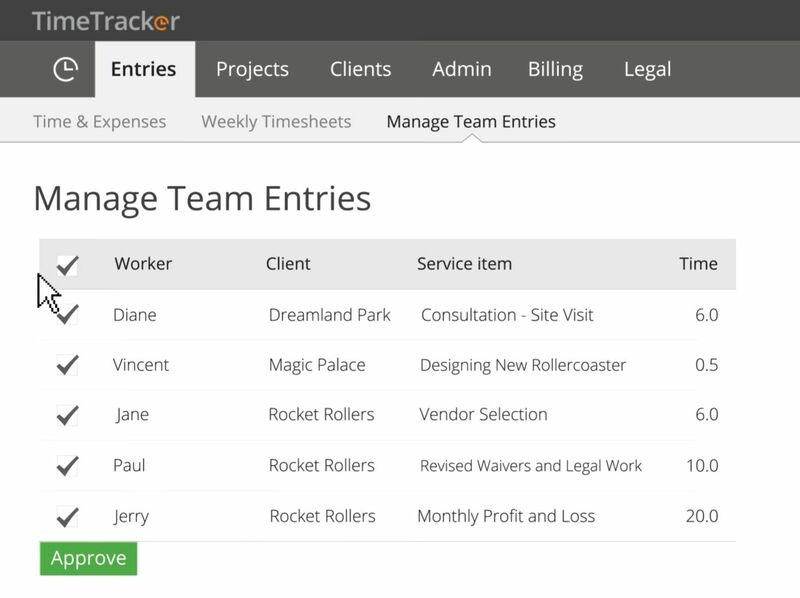 Start a time tracker with one click and do the same to stop, the tool creates invoices from your logged time. You can edit them visually, and send by email with customized message templates. The graphical time reporting and overviews of unbilled work will keep you on the right track in managing your business. PayDirt can be integrated with PayPal and Stripe, so the invoices can be paid faster and you can track payments. Clockspot is a web-based time tracking tool for businesses of all sizes. It is designed to monitor time and productivity of company’s employees. This software was created especially for business owners, bookkeepers, and payroll professionals. Managers and administrators can control the schedules of their employees to check work hours, sick days, vacations and holiday leaves. It has become quite popular and such huge names as Starbucks, Coca-Cola, and McDonalds adopted and implemented this software in their time tracking structure. The employee tracking system is spot-on, it can be set to track employees’ GPS, voice, or device. Replicon is a cloud-based time tracking software that will help you implement the business decisions that you think are essential for your organization. No need to install additional applications, all you need is an internet connection, and you can manage and monitor your employees in an effective fashion. It is a good solution for small businesses, as well as large, multi-level companies. Use it to collect attendance and time-off data to process payroll and accurately ensure labor compliance for all types of employees. Replicon received a number of awards for its services, for example, Best Customer Satisfaction of the Year Program. It is a cloud-based GPS and time tracking software with screenshots and activity levels. It has an intuitive interface (and in case of any trouble, great customer support.) You can use it to monitor and manage your employees’ working time. It can even take screenshots and track keyboard/mouse usage. 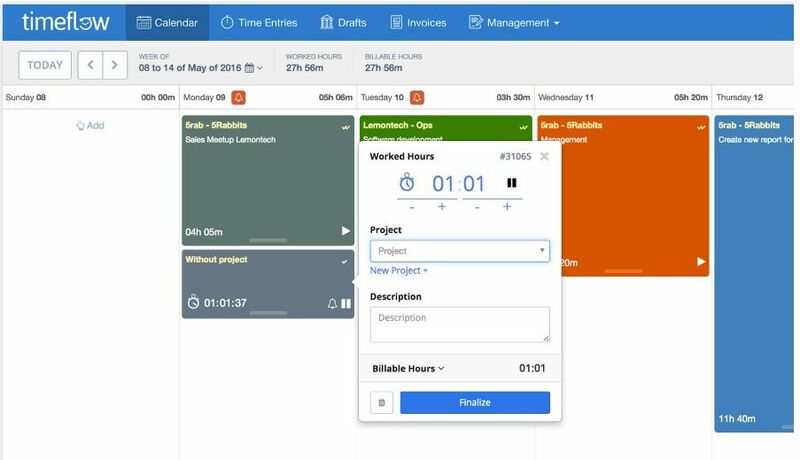 Besides, SCREENish will allow you to manage your projects by assigning employees to them and set their work hours limit and rates. It has an accounting option that reveals all working hours and calculates the payroll of your employees. The workflow graph it provides will help you in optimizing the work process and increase productivity. Time tracking software that lets you track time from any device – laptop, iPhone, iPad, Android, Windows Phone, or Outlook. Whenever an internet connection is, you can use eBillity. Its time tracker can be integrated with QuickBooks, Xero, MYOB, Reckon, Gusto and Concur, which means that you do not have to fill manually the information needed for billing, expenses, and payroll. Employees submit their time to an administrator for approval. Then, admins (managers or bookkeepers) can approve or edit the entries. If they approve, it is sync to QuickBooks or Xero. 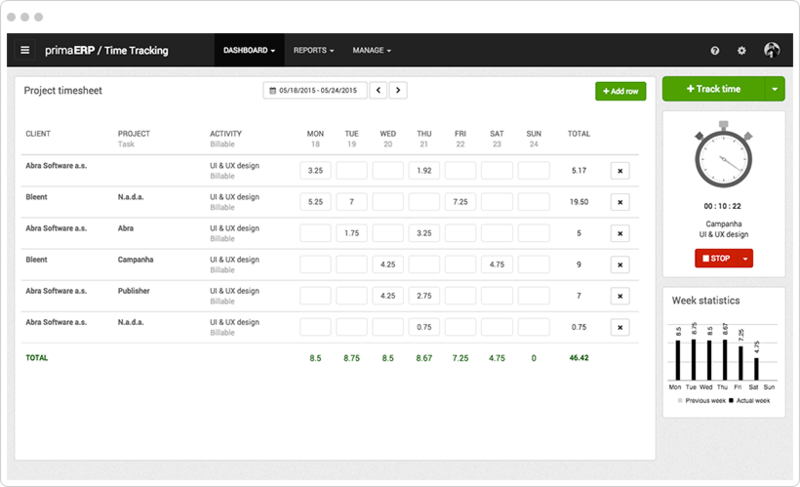 The reports display user and customer time activity, showing you what your employees are doing with their working time and which customers are earning you the most money. 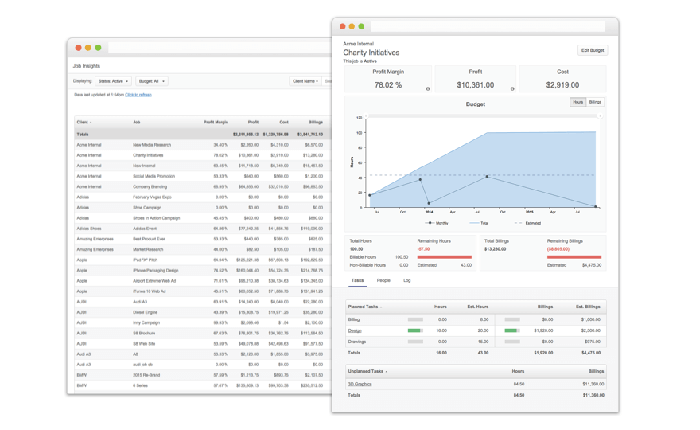 An advanced but simple tool for time tracking, invoicing, accounting, and scheduling. Used widely by designers, developers, architects, and attorneys. You can enter your hours manually or use the automatic timer. Mite provides detailed reports that you can analyze or export to third party programs. It is a web-based software – it only needs an internet connection and can be used through a browser or mobile phone. Team and customer collaboration is easy thanks to an intuitive interface. Also, the price is considerably cheap. A time tracking software that provides all the comprehensive features and tools that help in managing time accurately and efficiently. If you use this tool properly, it can decrease the workload at your company. Manage projects, teams and generate reports, it is great software for companies that need to track time to improve personal and team productivity and to keep track on the projects. A great finance and accounting software that is perfect for the companies that create and manage invoices. It is designed specifically for sole proprietors and smaller businesses. It is a simple, easy to use software that not only helps with invoices but also tracks time, sends payment reminders, and thank you notes. With it, you can manage your receivables and collaborate with your clients and colleagues more efficiently. You can also choose layout templates or do your own custom design. Invoices can be created in multi-currency and in different languages. Native iOS and Android apps are available. Time Clock Wizard is a free online time clock and payroll solution. You can use it to create individual schedules for your employees, color-code individual employee profiles, send the schedules via SMS or email, add task reminders, and keep track of your payments. 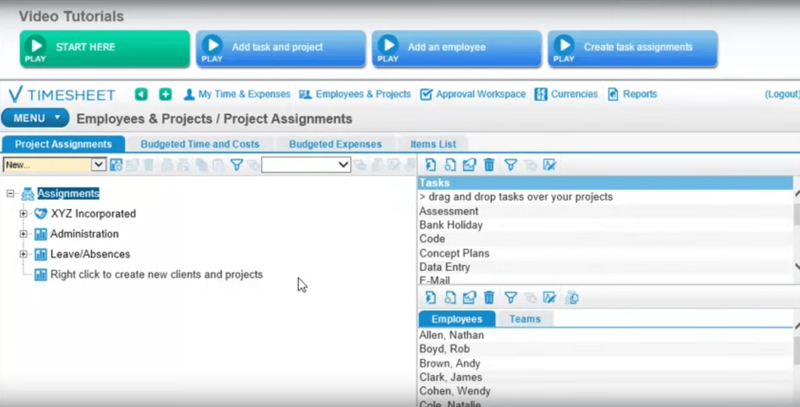 The tasks you assign to particular employees are integrated with the time tracker. You can also assign deadlines, and track the progress of a project or task. Employees can add their own comments to the projects. Time Clock Wizard also facilitates payroll reporting. As we can see on the main page of this software, Time Flow is perfect for lawyers, freelancers, marketers, architects, designers, programmers, attorneys, developers, and for anyone who bills their time. It is cloud-based, time tracking software usable on every device. It offers a calendar to organize projects, and a possibility to create, visualize and download hourly reports by client, user, etc. You can also customize letters and invoices with the billing details that you want. It is possible to configure a logo, choose a language and a currency of the invoice, and edit them on-line. This software lets you define your billing plans for individual or group projects, helping you to be more precise and orderly. Time tracking software that offers detailed reports, stopwatch, mobile apps, and much more. 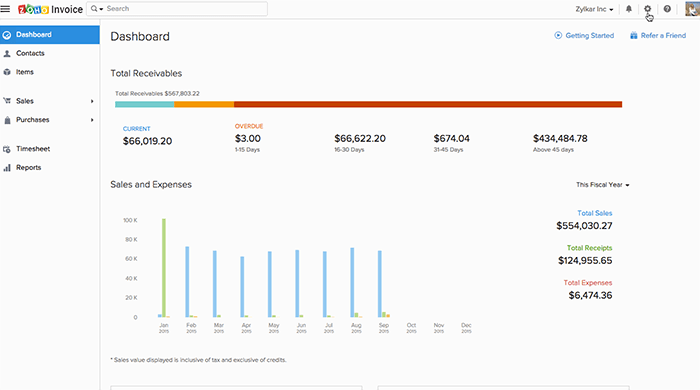 Basing on the time tracked you can create bills, add hourly rates to the project, clients, tasks, etc. 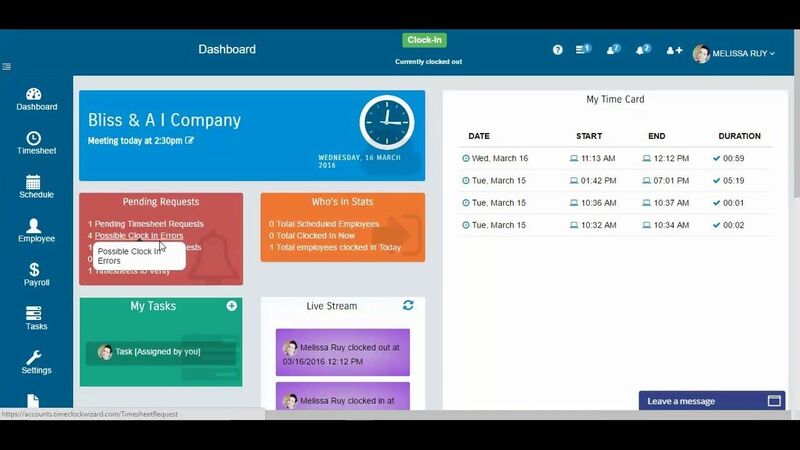 It has an easy-to-use attendance tracker that tracks your working time and the simple timesheets that provide information about work done by you and your employees. PrimaERP has a native Android mobile app, automatic timesheets that you can export and email, real-time overview of your and your team’s work, and the daily, weekly or monthly overview of your co-workers’ time. Free for 3 users. A nice post with a variety of alternatives. May I suggest one additional? I will include the link here, OnTheClock please feel free to remove if necessary. I am the founder and CEO of OnTheClock, currently, we service over 7000 businesses all around the globe.